Over the years, payroll providers have adapted to technological advances in order to improve their services tenfold. Hence, a lot of misconceptions about these services may be outdated or simply untrue. Industry experts and magazines such as Entrepreneur are slowly beginning to shed light on the benefits of outsourcing payroll. By separating facts from misconceptions, you can properly evaluate whether the service is right for your business. Keep reading to learn about six popular misconceptions about payroll providers. Contrary to popular belief, you can actually save money by outsourcing payroll. With a payroll provider, the work always gets done in the most efficient and time-friendly way. When you hire someone in-house, you have extra expenses that you may not be able to afford long-term, such as an added salary and subscription to a payroll system. Hire a competent outside team to do the work for you and the costs will always stay the same. Using a payroll provider doesn’t have to mean you lose complete control over the payroll system. Some businesses even hire out services to work alongside their in-house payroll employees. A lot of outsourcing companies also allow payroll data to be monitored, edited, and double-checked by the businesses if they so desire. A transparent partnership with your provider ensures that no one is upset or shocked by the time payday rolls around. Whether you outsource payroll or not, there are always risks to storing sensitive data like employee banking information. With this in mind, outsourcing payroll is a lot safer than it sounds—payroll professionals who are trained to keep track of sensitive data follow strict industry guidelines and use professional systems that are built to keep employee info protected. Due to the nature of their business, these teams also use highly protected webhosts in facilities that are completely secure and protected. The same can’t be said for payroll teams who work in-house. For a payroll outsourcing business to succeed, it needs to understand that all of its clients have a variety of different needs and schedules that need to be accommodated. The most exceptional providers on the market have extra services such as help with Employer of Records, HR assistance, Tax Remittance, T4’s, Claims Management, and more. These companies also adapt their services for international businesses who need a little extra help communicating with government authorities and processing money and taxes. Successful providers commit to on-time payroll processing so businesses can rest assured that payments to employees are completed within the requested time frame. Many people believe that this kind of efficiency increases the likelihood for mistakes to happen. However, the truth is payroll providers often take extra care for this very reason. This last misconception sheds more insight on this matter. A payroll service that doesn’t take time to sift through and make data corrections isn’t worth investing in. The most amazing services are diligent in making sure that all payments, taxes, and remittances are in good standing. They take special precautions to ensure any cross-country or global payments are concisely calculated according to tax laws and changes in currency. For more information about payroll services, check out our trusty resource page. Interested in what payroll outsourcing can do for your company? Contact us today! As one of the best professional employer organizations (PEO) around, The Payroll Edge was built on the belief of providing high-quality human resource, employee management, and payroll processing services to businesses across various industries to help them do whatever it is they do best. PEO services can include a large variety of different aspects, or it can be as simple as just outsourcing payroll. It all depends on the needs and desires of the particular client. 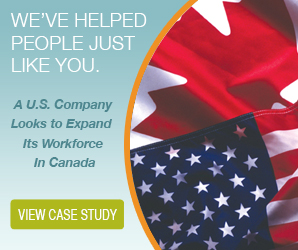 The Payroll Edge distinguishes itself from competitors in that we specifically specialize in helping businesses procure and manage employees from Canada. At the end of the day, we believe our PEO services help the clients we serve run all-around better businesses. 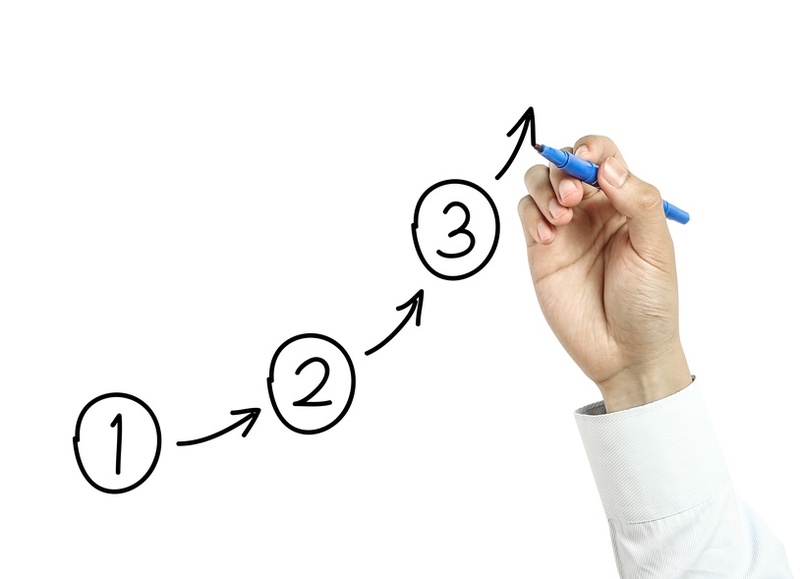 Here are a few basic ways PEO services can benefit your business today. Every business has to do payroll somehow and while some choose to keep it in-house, this generally isn't a good idea. In fact, over 85% of certified public accountants recommend that small businesses employ the expertise of professional payroll providers. There are a variety of reasons for this, but it comes down to accuracy and efficiency. Simply put, payroll is a lot more than merely cutting cheques. Even if you feel comfortable doing the job yourself, you have to ask yourself if it's really the best use of your valuable time. Going along with that, one of the main reasons many businesses choose to outsource their payroll and other human resource functions is to avoid potential compliance issues or mistakes. Even the most well-intentioned employee can easily make a mistake through the complex processes that make up PEO services. Not only can this cause you some serious anxiety, but it can really hurt your pocket book, too. Mistakes made in areas like payroll can have costly consequences, which is why it's often times best left up to professionals. At the end of the day, no matter what business you're in, you've presumably achieved success because of your products/services. These are the things you need to focus the majority of your time and efforts in. Otherwise, you will not need to worry about managing your employees if you don't have any customers. The Payroll Edge has a team of professionals to help you with virtually any and all PEO services you may need taken care of. Even if you don't think you necessarily need the help, chances are your business can stand to benefit. Call us today to find out how we can help. A third party payroll provider functions in important ways for your business, whether it’s making sure you are legally compliant with your country’s regulations, computing your employees pay, compiling accounting records for the employer, or preparing tax returns. All of these tasks demand attention to detail and professionalism that you would expect in a business partner. 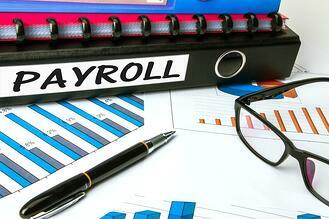 Here are some tips for payroll outsourcing that will help you deal with that payroll provider. 1. Do You Even Need to Outsource? First ask yourself what criteria are leading you towards outsourcing payroll with a third party provider? 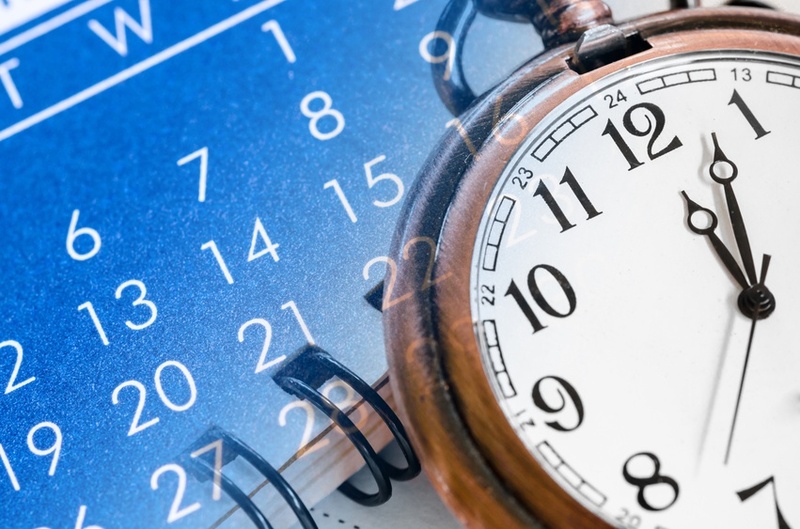 If payroll deposit deadlines are being missed or if you’re miscalculating payroll tax, your business can incur penalties of up to 10 percent. Staying on top of these mundane but necessary tasks often leads small businesses to payroll outsourcing so that they can rest easy knowing the fine details are being taken care of. 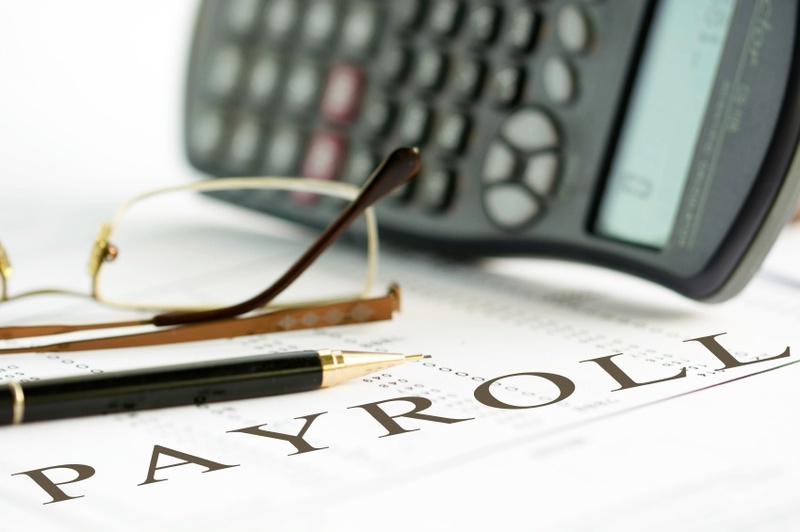 You should consider the cost of payroll outsourcing versus hiring your own payroll employee. An in-house team can potentially cost more if you're hiring experienced staff members who require a salary and benefits. Payroll outsourcing also has the added benefit of giving you a task force that can fulfill several positions in your business for a monthly flat rate. Take a look at the potential expenses cost/benefit ratio and at some statistics to get a clearer idea of what will work best for you and your business. You can often find a payroll provider through referrals from your network, whether from friends, business associates, accountants or tax professionals. Still, having guidelines helps to determine whether they have what you're looking for. Here are some questions to consider when selecting a payroll provider. What are their qualifications? Do they have certification from The Canadian Payroll Association? How many years of experience do they have in the field? Do they specialize in businesses related to yours? What is their customer service policy? Does their availability meet your needs? If their turnaround time doesn't meet the flexibility that is essential to your business, maybe it's worth considering some alternatives. What are their policies towards tax filing and misfiling? Are they going to assume any penalties, should a misfiling occur? Do they have flexible flat rate plans that will fit the needs of your company without overcharging you with unneeded add-ons? What security protections do they have in place to keep your data safe and private? Can you contact their references from past contracts? Ultimately, some work on your part will still be needed in order to make a payroll outsourcing effective for your business. Knowing your responsibilities as a business owner is important and should be discussed with your payroll provider during negotiations. It also helps to seek out someone with knowledge and experience in providing payroll or HR related tasks who can assess the quality of services being offered in the first few months. Monitoring your provider is key to ensure that they are on top of all the compliance legislation. By reviewing your payroll provider’s performance, you can be confident in the quality of your payroll provider and rest easy knowing your payroll tasks are being well taken care of. It's no surprise that there is a myriad of resources online that point in favor of outsourcing payroll since it can be a huge business saver. Considering the amount of time that's often spent processing payroll, passing the paperwork onto the experts can help your team focus on making your business the best it can be. As a small-to-medium business, you won’t have all the necessary resources to create your own internal payroll department. It makes sense to partner with a payroll provider so that you can save your precious resources for growing your business. And if you're looking to take care of other HR related tasks, outsourcing payroll can often include tasks that aren't immediately related to payroll such as employer of record services. Most importantly, outsourcing payroll is all about partnering with experts whose job it is to be up to date with the latest in legal compliance. They will not make the mistakes that you might if you try and bite off more than you can chew just to cut costs. Inevitably, if you're spending more time wracking your brain trying to figure out how to file all of your employees’ taxes, it's going to save you a world of stress to outsource payroll to a pro. Paying a dedicated individual within your company—with a benefit package and salary—to handle payroll, tax liabilities, documentation, and processing employee paychecks, might be more expensive in the long run than outsourcing payroll to a third party provider. A small business will often try to have one person deal with payroll tasks in addition to their other essential business tasks. But personnel with less than the necessary expertise, while potentially neglecting their main duties, can make mistakes that will end up costing you more. Partnering with a third party payroll provider will save you from the risk of getting fined or misfiling your taxes. For a flat monthly rate, you'll have a team of professional payroll employees who will efficiently process all your important paperwork so you and your team can focus on your business. 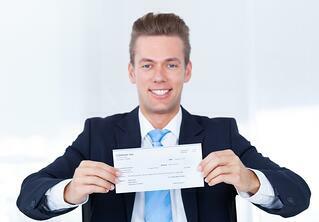 Outsourcing payroll will give you the advantage of having several positions filled at once. This can greatly increase the efficiency of your business and help your team focus on core tasks, leaving the extraneous HR leg work to well trained professionals who are used to working with a variety of unique businesses. One of the key features of a professional payroll service is their up-to-date knowledge of legal compliance and regulations. Staying informed about changing legislation can be a cumbersome job in and of itself. Save yourself the time, resources and frustration, and find a payroll provider that works for you. As ever, outsourcing payroll is a hot topic of discussion and one that, despite all the information available, seems shrouded in mystery for many who don't know where to start. We understand—it's a complicated topic and a big decision, not one to be made lightly without all the critical information in front of you. Luckily, we can help by laying out the various advantages that come with outsourcing payroll to help that decision along. One of the biggest advantages, no doubt, is how cost effective it is, especially when compared to the cost of a full-time team, or even a single individual, focusing on payroll. Though payroll easily sits on the top five most expensive aspects of doing business (and it's even number one for many), a payroll provider offers a cheaper alternative without losing the quality you demand and deserve. For many small businesses and startups (not to mention companies trying to grow), payroll is a staggering cost and is often dealt with by one or two people who work full-time or even part-time. However, we know the job requires a great deal more than that. By outsourcing payroll to a payroll provider, you're able to get the qualifications and effort of an entire team at a fixed cost; remember, any payroll company worth its salt won't deal in hidden or surprise fees on top of what you’ve agreed to pay. Since we're on the topic of small businesses, it's important to remember that their resources may be are limited. They have to work within their means, which can mean employees are stretched thin—some having two or three additional duties to attend to, and payroll isn't one of those things you want done with distraction. It’s a priority. A surefire way to increase efficiency and quality is to consider outsourcing payroll. That way, the payroll provider can take a great deal of work off your hands and free your workers up to focus on operational tasks that help to further your goals. There's no need to bog yourself down with complications like payroll, especially when you have more important things to worry about. Legal compliance is a must for every business, regardless size. Likewise, it can be incredibly stressful. Many small and growing businesses find themselves making legal mistakes—accidents, certainly, but they can still cost a great deal in the long run. Things like misclassification, improper deductions, late payments—these can all add up and lead to fines, penalties, or even jail time. Payroll providers aren't just experts in payroll, they're knowledgeable about various labour laws as well and can ensure that your company stays compliant every step of the way. This means managing deductions and garnishments, staying on a regular pay schedule with no late payments, filing the proper taxes, managing benefit payments, and more. For a one or two person team, that's a ton to think about, especially when you consider how many employees are involved. When outsourcing payroll, you're simply minimizing your risk. Arguably, payroll is one of the most complicated areas of business because it requires an understanding of accounting, legal expertise, and human resources all in one. This means that an employee tasked with payroll may end up taking on more than they bargained for, putting a strain on the quality of the work itself. 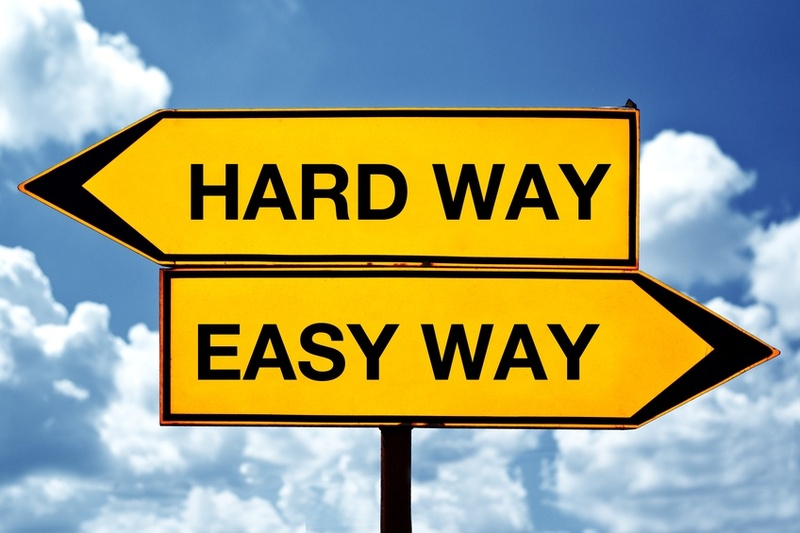 When you partner with a payroll provider, things just get simpler. In the beginning, you'll be sent a payroll report—this confirms things like the pay cycle, holiday pay regulations, benefits that need paying out, and other things. Once it's ensured that all the information is correct, your company doesn't have to worry about it again—payroll will be processed according to your specifications and everything will be summarized in a tidy little invoice for you. By a large margin, the most complicated and expensive aspect of doing business tends to be payroll and human resources (arguably, it can also be the most frustrating as well). That's why so many businesses have started considering outsourcing payroll and HR, in a desperate bid for efficiency, simplicity, and compliance. There's a lot to think about when it comes to making a decision, but there's also a reason why a lot of businesses have already made the switch. We can highlight four reasons why outsourcing payroll will help ease the burden. Perhaps one of the most difficult parts of business is managing all the daily legal requirements, from payroll law, human rights and employment policies, health and safety codes, worker classification, taxes, and more. Additionally, it can all change dramatically depending on the province you operate within. This means a big headache for your payroll department—one that occurs on a regular pay cycle to boot. When you outsource payroll and HR, these are all concerns you can leave to a team of professionals who are constantly trained to stay up to date. This means for every change in methods, new tax filings, special requirements, and more, they have it covered and you don't have to worry about it! 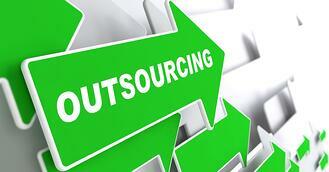 We know how expensive in-house payroll and HR can be, so how expensive is outsourcing? When you consider that many businesses simply don't have to funds to employ a full team to manage payroll, human resources, and legal compliance, it seems like there are few options but to get one or two people to try to manage it in-house. But outsourcing is actually a lot cheaper than one might think—for a simple monthly fee, all of it can be managed for you and because there are no hidden costs, what you see is what you get. This helps you stay financially on course and is definitely a great way to relieve your daily stress. Have you ever considered how much time human resources and payroll actually eat up? Whether it's a small team, a large team, or simply a single individual, a great deal of power, resources, and time goes into processing all that complicated information. When a company wants to focus on their own goals, it can be frustrating to spend so much effort on a peripheral aspect of the business that isn't related directly to growth. This is where outsourcing payroll and HR is perhaps most popular—when you delegate these important, but non-operational tasks to a third-party, you're freeing up not just your time, but your employees as well. That means they can spend their valuable time working more directly on the companies goals with a great deal more efficiency and efficacy. For those companies looking at expansion, there can be a lot of obstacles in the way. When you consider the amount of time and energy that goes into registering a business (which can take weeks or months, depending on the filing), the drawbacks can seem too intimidating, even despite the gains. Therein also lies another problem—when it comes to hiring employees from another country, it can become even more complex. So what does this have to do with outsourcing payroll and HR? Simple: many payroll providers can act as employers of record too, which means you can skirt a great deal of this trouble while maintaining full legal compliance. They'd hire employees on your behalf, pay them, and manage their HR. You can work directly with your new staff as you'd like. Let's be honest—in business, anything that helps you worry less is a great investment. Outsourcing can be a dirty word, depending on the circles you're with. Surely there are some reasonable concerns about outsourcing payroll that need to be addressed, but there are also several misconceptions that need to be cleared up. Since we have the information, we've taken it upon ourselves to debunk some of the most common (and damaging) misunderstandings about outsourcing payroll. The first complaint regularly heard is that outsourcing payroll is far too expensive – whether it's coming from the mouths of major corporation CFOs, or small business owners, the concern remains the same. The idea that sending payroll, usually an administrative detail taken care of in-house, will cost more money is pervasive but luckily, it's untrue. For most companies, even large ones, outsourcing payroll duties is much cheaper than managing it in-house, and not just in terms of money—it saves a lot in terms of resources, which means more time spent directly on operations and furthering the goals of the company. Naturally, the cost depends on the company chosen. Some companies feature one price, but include hidden fees that can build up and take your budget out of control. That said, a good payroll partner will show you what it will cost each month with no extra fees and hand you a single, tidy invoice once a month. Instead of paying several full-time employees to manage the complicated aspects of payroll, you can streamline it all into a single invoice and put your resources to better use. It's generally thought that the more people involved in each aspect of business, the more complicated it gets—when you have three, four, or five companies managing different things, it's easy to see how mistakes and misunderstandings occur. That said, what about how complicated it is to manage human resources, payroll, and legal compliance in-house? When you consider outsourcing payroll, you're not just getting payroll services—you're getting the bulk of the most complex human resources work out of the way as well, and the experience of experts trained in payroll and taxation law without the cost of a team of lawyers. Once you get that out of your way (and streamlined into a single invoice), so much of work becomes simplified. You no longer have the burden of complicated monthly (or biweekly) processing, careful audits at tax time, or deducting things like unemployment insurance, retirement pension plans, and more from each and every paycheque. As your payroll partner stays in contact with you and helps to answer any questions you may have, you're basically getting the full package without the full price and, most importantly, less hassle. Naturally, there is a concern that outsourcing payroll to a third party company can take away from the jobs of your own human resources workers, payroll processors, and legal experts, but that's only one way to think about it. You have these fantastic, talented people on your staff already—wouldn’t it be great to put them to better use? When you start outsourcing payroll, you're actually freeing up employees to take on a wider variety of important tasks within your company. If you think outside the box, these workers still have a place within your company, but can be using their creativity and talent in ways that more directly effect your operations. Consult with a payroll organization and see what else they can do for you.